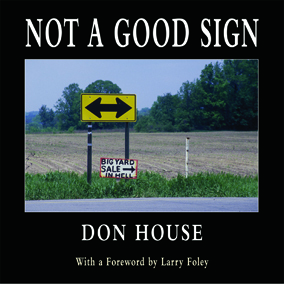 In Not A Good Sign, Don House takes us on a photographic romp through the back roads of his life. 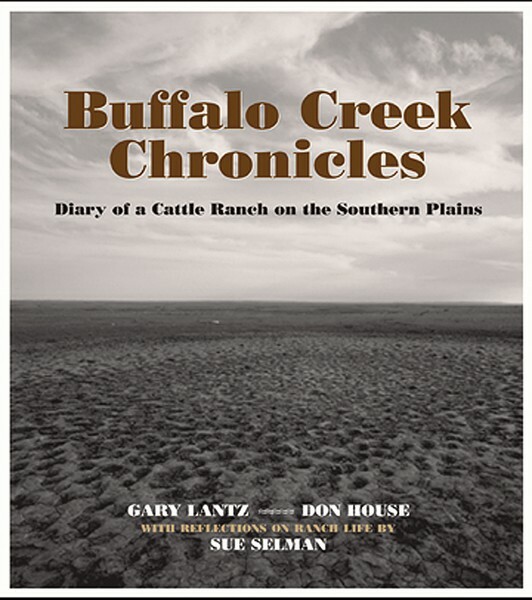 Instead of the powerful portraiture and landscape work for which he is best known, in this eclectic mix of mistakes, misspellings, and misplacements, he sets aside his large-format ways, and shoots from the proverbial hip for the pure pleasure of it - over fifty black-and-white postcards from the road. House sees signs, and especially those that speak louder than intended, as a form of communication with the locals, a little window on the community as he passes through. Shunning the interstates gives House the opportunity to cruise the back roads as part of his normal work-a-day routine. Mostly shot in the South and Midwest, it becomes, for us, an album of a region, in concentric circles around his beloved Arkansas home. Never mocking, only smiling, he calls his back roads choice an expression of love, really, and we, the reader, get a little glimpse of that love affair - from duck pluckers to fat hogs - we're riding shotgun, windows down, hair blowing, camera ready, always ready. 128 pages, with a foreword by Larry Foley. $29.95. 27 duotone photographs by Don House, 150 pages. $29.95.